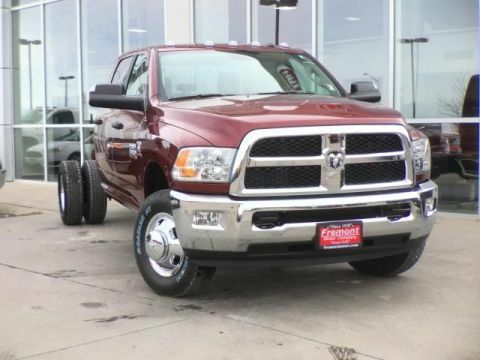 Agriculture Red exterior and Diesel Gray/Black interior, SLT trim. iPod/MP3 Input, QUICK ORDER PACKAGE 29G SLT, 4x4. AND MORE! 4x4, iPod/MP3 Input. MP3 Player, Keyless Entry, Child Safety Locks, Electronic Stability Control, Heated Mirrors. 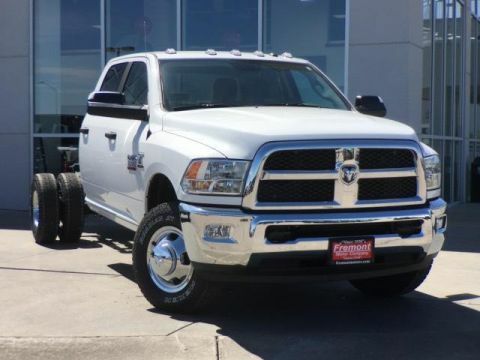 ENGINE: 6.7L I6 CUMMINS TURBO DIESEL 3.73 Axle Ratio, Cummins Turbo Diesel Badge, Current Generation Engine Controller, GVWR: 14,000 lbs, Smart Diesel Exhaust Brake, Selective Catalytic Reduction (Urea), Tow Hooks, RAM Active Air, QUICK ORDER PACKAGE 29G SLT Engine: 6.7L I6 Cummins Turbo Diesel, Transmission: 6-Speed Auto Aisin AS69RC HD, Overhead Console, Body Insulation, Bright Wheel Skins, Front & Rear Floor Mats, Bright Front Bumper, Temperature & Compass Gauge, Color Keyed Instrument Panel Bezel, SLT Badge, Premium Vinyl Door Trim w/Map Pocket, Bright Grille, Black-Out Tape, Traveler/Mini Trip Computer, TRANSMISSION: 6-SPEED AUTO AISIN AS69RC HD Front Armrest w/Cupholders. 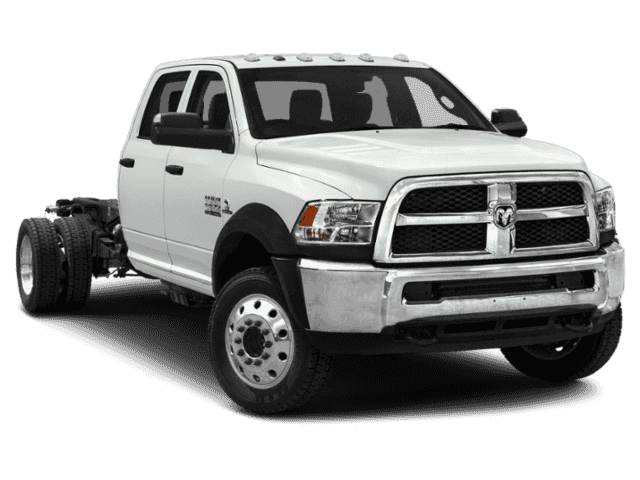 Ram SLT with Agriculture Red exterior and Diesel Gray/Black interior features a Straight 6 Cylinder Engine with 370 HP at 4600 RPM*. 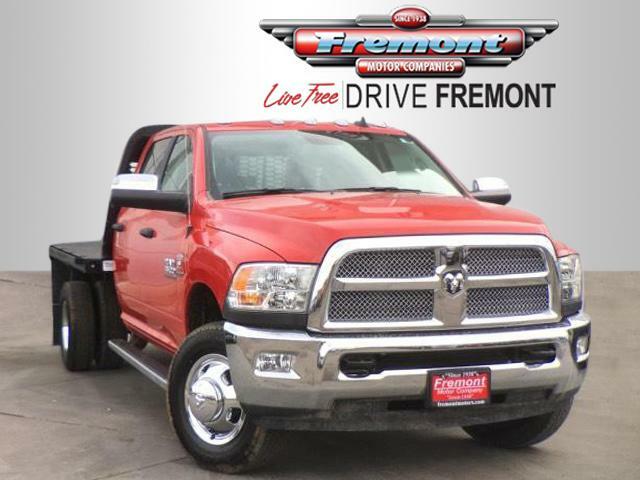 This vehicle comes with Fremont Care, MSRP pricing includes dealer installed options.